Armand Kay, aka Piano Expert, is an accomplished piano tuner and technician. One of the early American testimonials comes from Sherman Clay and company, the former authorized Steinway dealer in Southern California. In their letter of commendation, it says: “This letter will serve to verify the employment of Mr. Armand Kay, a very fine piano tuner & technician, who works for us here at Sherman Clay & Co… Sherman Clay is the Nations largest retailer of Pianos & Organs now in our 112th year of business operations. Armand Kay has an extensive experience with pianos. To this date he is providing the following piano services: Concert piano tuning, expert rebuilding, professional refinishing, fine voicing and skilled regulation. 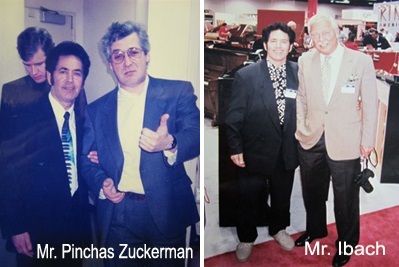 Since 1956, Armand had the privilege of working with the best people in the piano industry, and in the best factories in the world. His exceptional skills as a piano tuner and technician, gained him a winning reputation in many countries including Germany, Switzerland, South Africa, and Israel. Since 1979, Armand has made California, USA his permanent place. He continues to be a leader in providing all piano services. His loyal customers call on him with all of their piano needs, and also recommend him to everyone who needs to buy or sell a piano. His clientele includes pianists, musicians, piano teachers, singers, actors and actresses, Doctors, lawyers, and enthusiastic piano buyers. Armand keeps an inventory of pianos for sale. All pianos are quality-pianos, including Steinway, Bosendorfer, Bechstein, Bluthner, Mason & Hamlin, Yamaha, Kawai, and others. Armand is well known among his professional peers, and well respected among all that use his services.